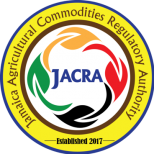 The functions of JACRA embrace the setting of Quality Standards, provision of Quality Assurance and Certification Services and generally focus on governing the trading in the Coffee industry in Jamaica. Jamaica’s coffee has become a very attractive product for exploit because of its very appealing intrinsic qualities. This has resulted in numerous brand infringements both locally and overseas. Please click here to see a list of all licensed coffee dealers and trade mark users. The Arabica Typica coffee is quite susceptible to many diseases affecting coffee, chief of them the coffee leaf rust, otherwise known as hemileia vastatrix – a disease which starts as small, yellowish spots on leaves, which then spread and turn to brown, causing leaves to fall off and the tree to die. JACRA has collaborated with external institutions such as the Inter-American Institute for Cooperation on Agriculture (IICA), the University of the West Indies (UWI), the Regional Cooperative Program for the Technological Development and Modernization of Coffee Cultivation (PROMECAFE), World Coffee Research and the University of Purdue, among others, to carry out a number of different activities with the aim of combating this dreaded disease. Additionally, there is an early warning system project being executed with collaboration from the Meteorological Service of Jamaica, The UWI, the University of Arizona, the University of Colombia, and IICA to provide forecasted climate information to farmers and extension personnel so as to generate quick responses from the agronomic information provided.